Turboranger's finale arc is where there's really lots of "I'M BURNING OUT" signs by Hirohisa Soda and a lot of red flags. Let's face it -- even the best writers are soon subjected to burnout especially when they are overworked. Soda's case is no different. Turboranger was one show that had lots of potential -- something that Carranger and Megaranger were able to improve overtime in one way or another IMHO. 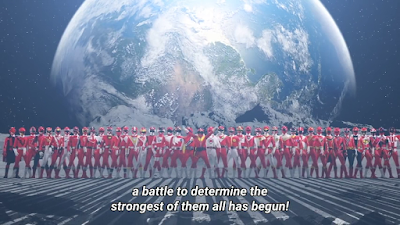 So what's with Turboranger's finale? 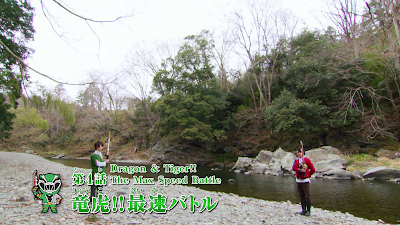 Turboranger's finale was trying to focus on two stuff -- the Nagare Bouma's redemption and Neo-Ragorn's return. Riki now sees Kirika's redemption but what about Yamimaru? Yamimaru's hatred is so great that it can't be easily undone. Also, this has me wondering for the nth time that Zulten is SO INCOMPETENT yet why in the world didn't Ragorn send him to a Do or Die Mission like the other three generals? Zulten's role ends up as an errand boy and nothing more. I guess Ragorn just loves to keep him around for the reason he realizes if Zulten is gone then he has no sucker to do his mission. Very good job Ragorn, every good job indeed and I'm being SARCASTIC! Zulten eventually led an assault on the Turbo Builder via Garzock fighters -- only to be easily dispatched. Seriously? I think Zulten should have been used a suicide bomber if you ask me! The focus was unleashing the Great Demon Seal which is located under the Turbo Builder of all places. Speaking of which, this has me thinking why did Yamimaru want to collide the Bouma Palace into the Turbo Builder during the episode where Ragorn supposedly meets his end? Was Yamimaru even aware of it? It's highly possible. Why did Ragorn suddenly decide to attack the Turbo Builder after he managed to grab back the Life Jewel? I guess the final episode answers the questions. Also, it was interesting to see how Ragorn's stupidity got the best of him. I mean, why even entrust the ritual of sacrificing both Yamimaru and Kirika to unleash the Great Seal to a terrible idiot like Zulten? It just shows he has no more good minions available.The Great Seal contained some various monsters and wait -- why is Ragorn's old body there? It really is THAT FUNNY yet why couldn't they at least include footage of the three generals too? This also had me thinking that maybe Rehda was written off too early. I thought doing away with Jarmin and Zimba wouldn't be so bad if Rehda stayed. It had me thinking that if Ragorn still had his personal adviser Rehda -- it could have been more epic of a finale. I could still think of how Rehda could have been entrusted with releasing the Great Seal than just releasing the Chomajin Bouma against the Turborangers. I think Rehda himself could have made an impact in punishing both the Nagare Bouma all the while Zulten merely pretends to defect to the Nagare Bouma. I think the second to the last episode could be used where Rehda unleashes his full-scale attack at the Turborangers and the Turbo Builder. Sigh, I wonder what reason did Masashi Ishibashi have in leaving Turboranger? Those were some plots that could have been integrated if you ask me! The Bouma Palace is arriving and there's one super badass final battle. 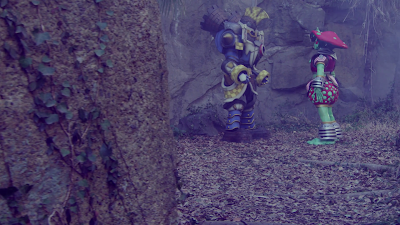 The Turborangers envelop themselves in some weird kind of light to the Bouma Palace to confront Neo-Ragorn one-on-one. That concept was later ripped off (in one way or another) by Mighty Morphin' Power Rangers! The battle is really terrific to see how the team of teenagers with attitude is finally about to graduate from high school. What's more interesting is to see Misa Yamaguchi discover their identities. How did she discover them? TBH, I even think of how useful Misa is to plot than just to be a schoolteacher like Miss Appleby in MMPR. She's there at the Turbo Builder to give encouragements to the Turborangers not to give up their fight to save the world. Yamimaru appears with a trick that renders him untouchable but also makes his life energy fade away fast. All the while Kirika ends up taking a backseat in the finale. I guess Soda is really THAT OVERWORKED already at this point! Here's my complaints now in this finale. Sure, it ends up with it concluding as it should be concluded! No overextension whatsoever. No bidding of "Let's stretch Turboranger to unspeakable lengths like MMPR!" from Toei. No, we were getting a good finale. What I couldn't understand and still couldn't understand is how in the world could Super Turbo Robo suddenly destroy Neo-Ragorn SO EASILY? Back in episode 39 -- he was basically rampaging that Turbo Builder had to combine with Super Turbo Robo to destroy him? Instead, the Super Turbo Builder was used to destroy the Bouma Palace which Neo-Ragorn sent to destroy the Turbo Builder. My theory is that Neo-Ragorn may be have a higher offense power but his armor is pretty low. Maybe, the older body of Ragorn had more armor which required the biggest guns to destroy him. Still, I feel pretty WTFed at how Neo-Ragorn was easily destroyed by the Super Turbo Robo! The whole redemption of Yamimaru happens at the Bouma Palace. You can see how repentant he is -- he wants to sacrifice himself to destroy the Bouma Palace. However, the same thread of fate that saved Kirika (as Sayoko) now saves Yamimaru! With Yamimaru no longer in the Bouma Castle -- the Turborangers use Super Turbo Builder to freely destroy the Bouma Palace ending the curse forever. The seal no longer exists and the mission is complete. The Nagare Bouma bid farewell to the Turborangers and they may now be fully human for all we know. Seelon joins the stars with Rakia at long last with her mission complete. 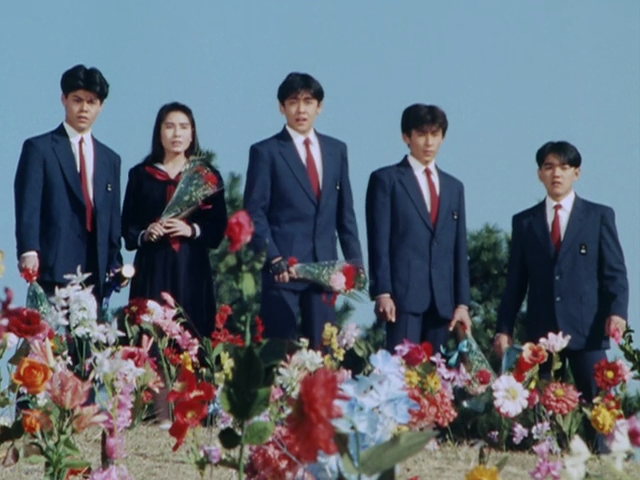 The Turborangers have their flowers and diplomas which was used to conclude the series. This also has me thinking of why I no longer watch Power Rangers. I confess that Turboranger has actually made me no longer appreciate how Mighty Morphin' was part of my childhood. Sure, I understand how Toei ended up giving Saban Entertainment the contract and license because the U.S. has a much different culture than Japan (plus TV-Y7-FV ratings) but it doesn't mean Power Rangers appeals to me. I still can't get over how Toei and Saban Entertainment got greedy (and yes, the Greeed would surely create the most powerful Greeed monsters out of them) and decided to overextend Mighty Morphin'. Until now, I'll still obsessing to my wish that Mighty Morphin' just ENDED the way it should have ended. Turboranger gave me what Mighty Morphin' didn't give to me and what audiences deserved better -- proper closure! My thoughts? It's not really the best season but I would definitely recommend it for a Shout! Factory release.